Seals haul out onto the beach to rest; whales and dolphins do not. If you see any marine mammal, live or dead, on the beach please call our hotline. 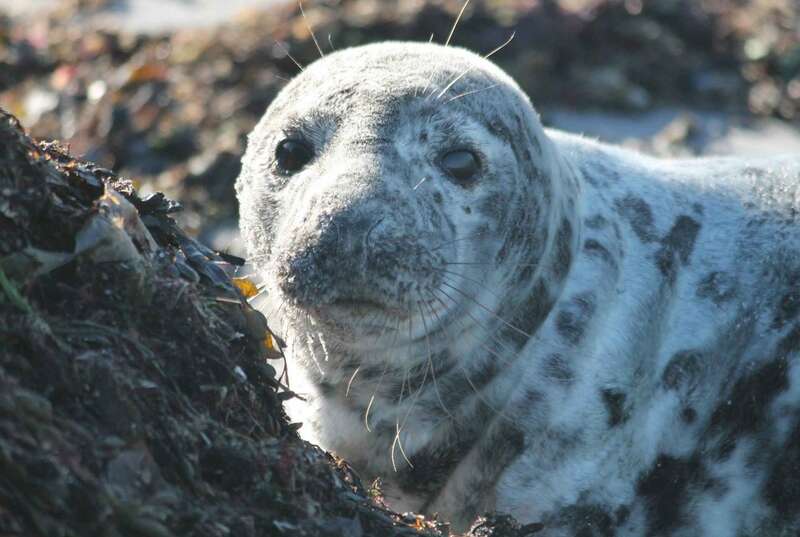 Harbor seals are the most common species seen in NH. 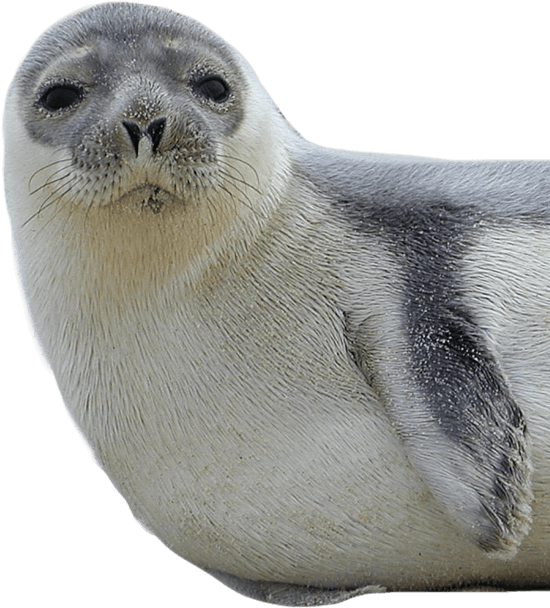 Gray seals distinguishing feature is its long snout, which is why they are sometimes referred to as “horseheads”. Harp seals are also ice seals and are typically only seen in New Hampshire during the winter. 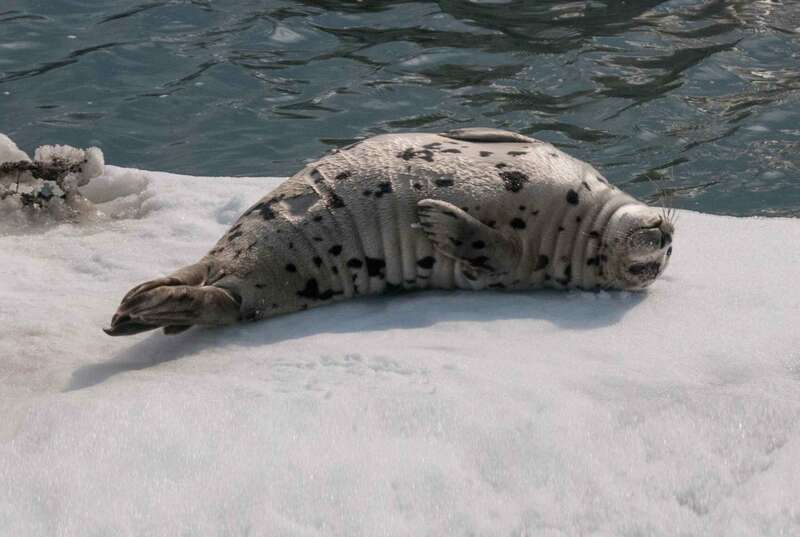 Hooded seals are considered ice seals and are typically only seen during the winter months. The Marine Mammal Rescue Team responds to reports of all marine mammals in NH and northern MA (from Essex, MA to the Maine border). 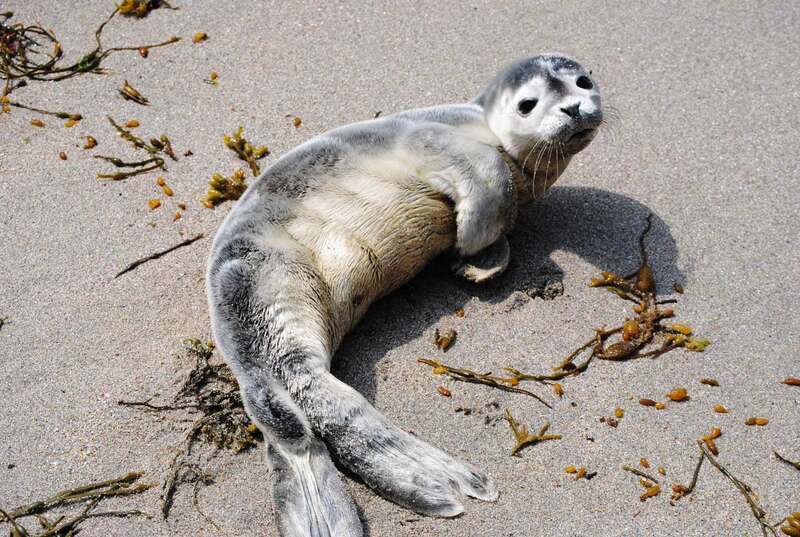 If you spot a seal or other marine mammal on the beach, keep back and call the hotline! All marine mammals are protected by the Marine Mammal Protection Act. Fulfilling this requirement, the Center’s Marine Mammal Rescue Team staffs a 24/7 hotline (603-997-9448) and deploys first responders. 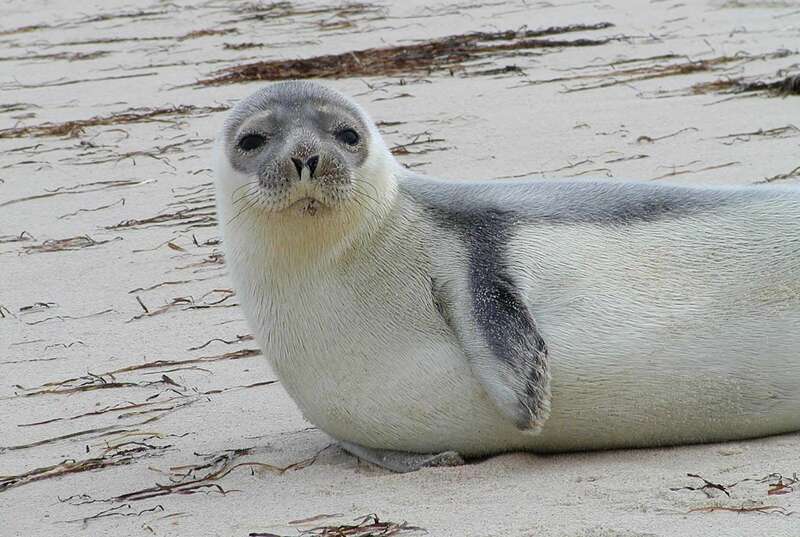 Our Marine Mammal Rescue team responds to every caller’s report of any marine mammal that has hauled out or stranded on a NH and northern MA beach (from Essex, MA to the Maine border). Callers who leave a message on our 24-hour hotline promptly receive a call in return. There are many different ways you can help our marine mammal rescue and education efforts.